Jaheim Hoagland (born May 26, 1978) is an R&B singer performing under the mononymous name of Jaheim. Jaheim is known for his soulful baritone voice. He was signed by Naughty by Nature's Kaygee to Divine Mill Records in 2000, and released his debut album Ghetto Love in 2001. His second effort, Still Ghetto, was released a year later, both achieving platinum success. Jaheim's third album, Ghetto Classics, was released on February 14, 2006, debuting at Number One on the Billboard 200, and selling over 153,000 copies in its first week. 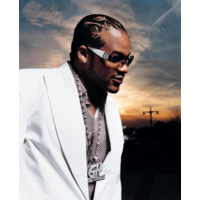 Jaheim has been a resident of Hillsborough Township, New Jersey. He is the grandson of the late 1960s soul singer Hoagy Lands. He is currently attending St. Johns University, having earlier dropped out of Lock Haven University.